Hull City football club has donated presents to a Christmas appeal organised by signage and vehicle branding company, Designs. The campaign, titled ‘It’s a Wrap!’, has been encouraging the community to donate gifts to support some of the most vulnerable residents in Hull. The gifts will then be handed out to families in need from Designs’ very own Santa’s Grotto on wheels. 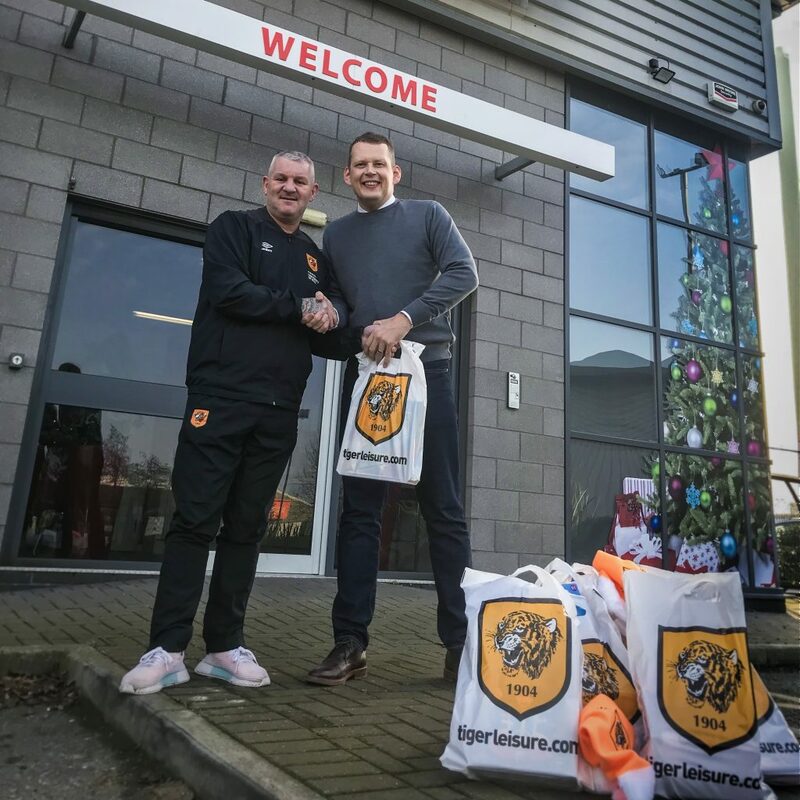 Tigers legend Dean Windass visited the Designs office to drop-off gifts to be distributed to Barnardo’s, Hull Women’s Aid and Preston Road Women’s Centre. The public has also been making donations at drop-off points in Hull and Beverley. As one of the UK’s leading signage and vehicle branding companies, Designs’ in-house team has specially wrapped one of its vehicles to create a bespoke Santa’s Grotto on wheels for children to enjoy. Created to celebrate the company’s 25th anniversary, managing director Rob Daysley hopes that the campaign will help the people of Hull come together and aid the team in their attempt to provide a merry Christmas to those who need it this festive season. Mr Daysley said: “We’re overwhelmed by the contributions we’ve received. “We are very grateful to members of the public and Hull City football club for the support they have shown for our campaign. As experts in wrapping everything from walls and buildings to fleets of vehicles, Designs employs more than 35 people at their premises in Hull. As well as offering vehicle livery services, they have carried out projects in industries including retail, education, commercial and property development. The company works across a wide range of sectors, with major clients in the sports sector, including Premier League and European football clubs, rugby league and union sides and indoor competitions like the world darts and snooker championships. Be the first to comment on "Hull City supports Designs Christmas appeal"